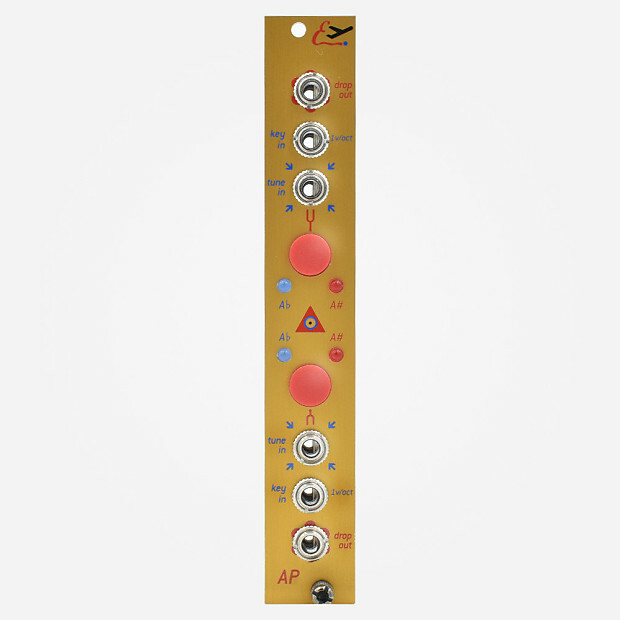 Auto Pilot is a two channel autotuner for eurorack oscillators! Insert a sequence and pass it along to an oscillator - take a spare wave output from that oscillator and pass it back to Auto Pilot, then set the sequence to an A and hit the TUNE button - in seconds, it will detect the pitch and adjust the CV until the oscillator is producing an A, autotuning that oscillator for you; perfect for live performances! 13 mm deep - incredibly skinny for the tiniest skiffs!